Whether you’re a student, or a professional looking for a career change, a first-rate education is your best bet to locking down to that Big Four job. 0.1 Where do you start? With so much information available, choosing the best accounting program can be difficult, so we’ve compiled a list of the 50 best accounting programs at the best accounting colleges in the U.S.
About: The McCombs School at the University of Texas at Austin offers a high quality undergraduate program as well as a top-ranked Master of Professional Accounting with the possibility to pursue an integrated five-year program. In fact, the school has been ranked #1 by US News and World Report for the past 10 years. 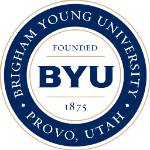 About: Nationwide recognition, high CPA exam pass rates and an innovative curriculum define the accounting program at Brigham Young University. Both the BS in accounting and the Master of Accountancy programs boast highly effective teaching with close to 100% placement rates for Master’s graduates every year. The Marriott School at BYU also offers a PhD Prep track to prepare students for a PhD in Accounting. Students are also encouraged to gain experience through volunteering, internships, student organizations and business competitions. About: The top-rated University of Illinois offers a comprehensive accounting program including a four-year Bachelor of Science in Accountancy, a Master of Accounting Science, a Master of Science in Accountancy, a Master of Science in Tax and a PhD program. About: This leading accounting program allows students to major in accountancy and to qualify for the CPA exam by pursuing a Master of Science in Accountancy or a Master of Business Administration. First-rate teaching is supplemented by extra-curricular activities, a Tax Assistance Program and excellent career services. 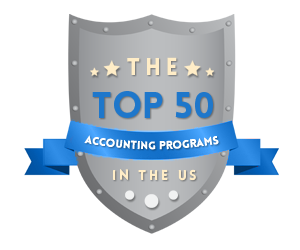 The University of Notre Dame has been widely recognized for its accounting research, while the Mendoza accounting program has consistently topped national rankings. About: The prestigious Wharton School of Business at the University of Pennsylvania allows undergraduate students to pursue an accounting concentration with a diverse curriculum, including courses in auditing, tax and different types of accounting. Students wishing to sit for the CPA exam can study for the highly ranked MBA at Wharton School and take additional accounting courses. Students wishing to enter the field of accounting research can undertake a PhD and benefit from the school’s first-rate research facilities and expertise. About: Students at the prestigious Leventhal School of Accounting, part of the Marshall College of Business at USC, can choose to major in accounting as well as study accounting at the postgraduate level. The Master of Accounting and Master of Business Taxation programs provide in-depth coverage of accounting and taxation and prepare students for on-the-job success. Award-winning faculty members, a flexible curriculum, first-rate research and a focus on international business practices make this program unique at both the undergraduate and graduate levels. About: The Ross School of Business at the University of Michigan offers an undergraduate degree in accounting and a Master’s program designed to prepare students for the CPA exam and for a wide variety of careers. This innovative program integrates the Master of Accounting and the MBA program to provide a dynamic education relevant in an ever-changing business world. What is more, excellent connections with the business community improve the students’ chances to gain experience while studying and to find employment upon graduation. About: Students at the University of Mississippi’s Patterson School of Accountancy can study for a Bachelor of Accountancy, a Master of Accountancy, a Master of Taxation or a PhD in Accountancy. This prestigious accounting program offers a broad-based education with the possibility to gain in-depth expertise through elective courses. Excellent opportunities for hands-on learning are provided through the school’s internship program and extra-curricular activities, while a highly regarded faculty composed of CPAs guarantees first-rate teaching. About: The University of Indiana has gained an excellent reputation as one of the country’s “Public Ivies” and offers a top-ranked accounting program through its Kelley School of Business. Accounting can be studied at all levels and graduate students can choose between a Master of Business Administration and a Master of Science in Accounting to prepare for the CPA exam and for a successful accounting career. Through internships, field study projects and field consulting experience, students at Kelley School can gain valuable real-life skills. About:The highly rated graduate business school at the University of Chicago offers a blend of in-depth expertise and hands-on learning to prospective accountants and CPAs. The MBA curriculum covers accounting and financial analysis, financial statement analysis, taxation and managerial accounting. Students may opt to get involved in various extra-curricular activities including the Corporate Finance Group, Distressed Investing and Restructuring Group or the American Bankruptcy Institute Corporate Restructuring Competition. The flexible accounting program at Booth School allows students to pursue the MBA full-time, on evenings or weekends. About: The Fisher College of Business offers 12 specializations as part of its undergraduate accounting program, including tax, management, government and non-profit accounting. At the graduate level, students can choose between a prestigious Master of Accounting and a Master of Business Administration. Through business partnerships and opportunities for real-world experience, students can get off to a great start in their accounting careers. Moreover, the college is ranked 4th nationwide in accounting research. About: The Stern School of Business allows students to major or co-major in accounting and prepares them for a wide range of careers in business and finance. Students wishing to sit for the CPA exam can opt for an undergraduate CPA track or pursue the prestigious Stern MBA program, which provides in-depth expertise in different areas of accounting. New York University is one of the largest private universities in the country and its excellent connections to the business community put its graduates at an advantage. About: Mays Business School at the Texas A&M University consistently ranks among the best schools in the country. The Department of Accounting offers a comprehensive program at all levels designed to help students pass the CPA exam and go on to successful careers in public accounting. An unique feature of the Mays School is the five-year Professional Program that allows students to complete a BBA and a Master of Science in any business major within five years. About: The UC Berkeley offers an unique accounting program through the prestigious Haas School of Business, while additional accounting courses and a Certificate in Accounting can be earned at UC Extension. While the school does not offer a major or minor in accounting, students can qualify for the CPA exam by taking a variety of accounting courses. Moreover, postgraduates interested in accounting research can undertake the top-tier PhD program at UC Berkeley. This four-year program offers two years of formal coursework and two years of joint research with the faculty. About: Cornell University is known for consistently ranking among the top 5 schools in the country in terms of CPA exam pass rates. Students at Dyson School can complete a Bachelor of Science with an accounting concentration which allows them to prepare for a dynamic business environment. 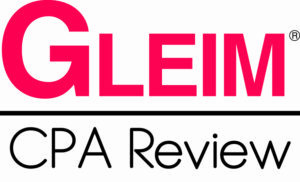 Coverage of intermediate and advanced accounting, as well as taxation, auditing and assurance, financial analysis and modeling equips Cornell graduates with in-depth expertise for passing the CPA exam and succeeding in a demanding profession. About: Best known for consistently achieving the best CPA exam pass rates in the country, Wake Forest’s School of Business provides a comprehensive accounting program based on lectures, seminars and research. The prestigious undergraduate program at Wake Forest boasts a 97% graduate placement rate, while 98% of 2013 Master in Accounting graduates were employed upon graduation. Nationally recognized for academic excellence, Wake Forest University offers a wide range of accounting specializations, with a unique track in Financial Transaction Services available to Master’s students. About: Prospective accountants can earn a certificate in accounting, a Bachelor of Science in Accounting or a Master of Accountancy degree at the Collins College of Business. Students wishing to sit for the CPA exam may qualify by completing a single-major or double-major Bachelor’s degree or by studying for the Master’s degree. Outstanding students can start studying for the Master of Accountancy degree as undergraduates. Excellent facilities and opportunities to gain experience complete this effective accounting program boasting a 98% graduate employment rate. About: Stanford University offers a highly rated PhD program in accounting that lives up to the high standards of this leading research university. This quantitatively oriented program strives to apply general principles to accounting issues such as financial reporting, taxation and managerial accounting. Students looking to become CPAs can opt for the two-year MBA program that includes a selection of accounting electives, as well as compressed courses and a wide range of Stanford courses that can be combined for a personalized experience. About: The comprehensive accounting program offered by the University of North Carolina at Chapel Hill consistently ranks among the best in the country. Undergraduate students can specialize in finance and can choose from a range of 25 accounting and finance classes. Moreover, the prestigious Master of Accounting program at Kenan-Flagler School provides world-class teaching and hands-on experience, as well as great opportunities to network and start a career as an accountant. The program boasts a 98% graduate placement rate. About: The nationally recognized accounting program at Trulaske College of Business offers a combined 150-credit degree in addition to the traditional Bachelor’s and Master’s degrees in order to help students on the CPA track. Strict admission criteria and an in-depth curriculum are the hallmarks of academic excellence, while experiential learning opportunities such as internships, business competitions and study abroad programs complement the coursework. Trulaske College boasts a high graduate employment rate and higher than average starting salaries in accounting and finance. About: The prestigious Warrington College of Business at the University of Florida offers a top quality accounting program known for its excellent CPA exam pass rates and rigorous curriculum. Apart from the Bachelor of Science in Accounting and the Master of Accounting degrees, students can also opt for the 3/2 Program that combines the two degrees over a duration of five years. Another unique feature is the Post-Baccalaureate that allows students from various backgrounds to complete the prerequisites necessary for enrolling in the Master of Accounting program. About: The undergraduate accounting program at the University of Richmond ranks consistently high in terms of CPA exam pass rates and academic excellence. With employers including the Big Four and high graduate placement rates, the Robins program relies on a comprehensive curriculum with small class sizes and flexible coursework. At the graduate level, students can pursue a highly-rated MBA program which includes courses in accounting and a capstone project that can include accounting concepts. About: The highly rated undergraduate program in accounting at SMU Cox provides students with a broad business background alongside an accounting core including courses in intermediate accounting, cost accounting, taxation, auditing, accounting systems, ethics, accounting theory and business modeling. Moreover, students wishing to sit for the CPA exam can pursue the Master of Science in Accounting with two possible tracks: Assurance and Advisory or Tax. This 32-credit program with a diverse range of electives connects students to a dynamic network of business leaders in the Dallas area. About: The University of Wisconsin – Madison offers a highly regarded BBA in accounting as well as a Master of Accountancy and a PhD program. Students may qualify to sit for the CPA exam by pursuing the Integrated five-year Master of Accountancy; alternatively, students lacking a solid accounting background may undertake a two-year graduate program. With plenty of extra-curricular activities and opportunities for networking, the Wisconsin School prepares students for career success as well as academic achievements: the school has one of the best CPA exam pass rates in the country. About: The prestigious McIntire School of Commerce has an excellent reputation for its undergraduate and graduate accounting programs. At the undergraduate level, students follow an Integrated Core Curriculum and can choose a specialization in accounting in their fourth year. Students on the CPA track may complete the required coursework at the undergraduate level or complete the Master of Science program. This 30-credit program offers concentrations in financial reporting and assurance or tax consulting and is centered on experiential learning. About: The Foster School of Business at the University of Washington offers a top-quality accounting program with a rigorous curriculum and world-class researchers as faculty members. Students can pursue an undergraduate degree with an accounting concentration, as well as a Master of Professional Accounting. The school boasts links to the thriving Seattle business community and students benefit from plenty of opportunities for career development through internships and extra-curricular activities. About: The School of Accounting at the University of Georgia prides itself on award-winning faculty members and students, excellent student evaluations, graduate employment rates of over 90% and high CPA exam pass rates. The school offers a BBA in Accounting, as well as a Master of Accountancy and an integrated program including both degrees. Students pursuing the Master of Accountancy degree may specialize in audit, taxation or auditing systems alongside a core curriculum in accounting and business. About: Students at the prestigious Broad College of Business can choose between a Bachelor of Arts in Accounting, a Master of Science in Accounting or in Business Analytics, and a PhD in Accounting or in Information Technology Management. The school also offers a five-year program suitable for students wishing to become CPAs. Employability is at the heart of the Broad accounting program, with a curriculum rooted in the real business world and around 200 students participating in internships every year. About: The Freeman School of Business at Tulane University prepares students for the CPA exam and for success in the field through its undergraduate accounting program. A broad background in business and general education is supplemented by specific accounting courses. Moreover, graduate students can pursue the comprehensive one-year Master of Accounting program, which covers advanced accounting topics, tax, auditing, business law and ethics and offers a number of electives to fit every student’s specific career goals. About: Students at the Stan Ross Department of Accountancy at the City University of New York’s Baruch College have a wide range of choices: a BBA in Accounting, a Master of Science in Accountancy and a MBA with an Accounting major. 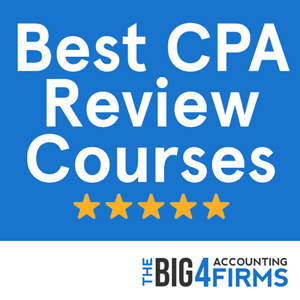 Both of the latter programs fulfill the requirements for taking the CPA exam. While the Master of Science in Accounting provides the shortest route to the CPA exam, some students may prefer the MBA for its diverse curriculum and multiple career options. About: The long-standing Northern Illinois University offers a diverse accounting program including a Bachelor of Science in Accountancy, a Master of Accounting Science (Leadership and Professional) and a Master of Science in Taxation. The undergraduate curriculum covers essential topics in financial accounting, accounting theory and business law, while the graduate programs offer flexible study options and value professional experience. A unique dual MAS/MBA degree option is also available. About: The Farmer School of Business at Miami University in Ohio offers an undergraduate degree in accounting, as well as a highly ranked Master of Accountancy program. Students aiming to qualify for the CPA exam may earn the necessary credits in five years, with outstanding students able to qualify in four years thanks to the dual degree program. High graduate employment rates and excellent career development opportunities for students recommend this program as one of the best in the country. About: Santa Clara University is the oldest higher learning institution in Western USA and has a long-standing accounting tradition. The accounting major offered at the undergraduate level offers a comprehensive overview of accounting topics alongside business and general education courses. Students also complement their learning through internships, independent study and extra-curricular activities. At the graduate level, highly-rated MBA and Master of Finance programs prepare students for a range of careers in the business world. About: The Carroll School at Boston College has won widespread acclaim for its rigorous accounting program which values ethical decision-making in accounting. Undergraduate students at Boston College can choose an accounting major that provides a comprehensive overview of the field, while graduate students can study for a Master of Science in Accounting or Finance or a Master of Business Administration. Dual degree options are also available and students can tailor their learning to their individual backgrounds and career goals, such as meeting CPA requirements. About: Prospective accountants can undertake a thorough training at the Smeal College of Business, with options including a BSBA in Accounting, a Master of Accounting and a PhD in Accounting. Students can also opt for an integrated undergraduate-graduate program tailored to provide a direct route to the CPA exam. With 95% of Master of Accounting graduates employed upon graduation and recruiters including the Big Four, Penn State is one of the best places in the country to start a career in accounting. About: The competitive accounting program at the Eccles School of Business blends innovative class work with hands-on experience to provide students with a unique well-rounded education. Students can work with real-world clients and participate in volunteering programs, as well as complete field projects and undertake short professional courses. It is thus not surprising that the Master of Accounting program at the University of Utah boasts a 96% graduate employment rate alongside high CPA exam pass rates. About: The long-standing accounting program at the University of Tennessee focuses on finance, information management and supply chain management, as well as international business practices. Students can pursue an undergraduate degree with an accounting major, a Master of Accountancy or a PhD in Accounting. Excellent teaching is supplemented with internships and hands-on experience. Moreover, Master’s students can choose to specialize in Audit and Controls or Taxation. About: Undergraduate students at Culverhouse College can major in Accounting and gain expertise in auditing, taxation and managing financial accounts, with the option to specialize in Professional Accounting. At the graduate level, the College offers a Master of Accountancy and a Master of Tax Accounting. Through its successful blend of high quality teaching and real-world experience, Culverhouse College consistently achieves high graduate employment rates, with recruiters including the Big Four and Fortune 500 companies. About: Business knowledge and technical expertise are at the core of the accountancy curriculum offered to undergraduate students at the Carey School of Business. Moreover, students wishing to embark on a CPA career may opt for the Master of Accountancy or Master of Taxation program. While the former provides advanced accounting expertise, the latter prepares you for a career in business and tax advisory or tax law. With a nearly 100% graduate employment rate, the graduate program at Arizona State puts students in a great position to start their careers. About: The Tippie College offers a high quality BBA in Accounting program focused on general skills, business knowledge and accounting technical competence. Students wishing to become CPAs or to enhance their expertise can pursue the Master of Accounting degree with one of four specializations: managerial accounting, tax, finances and auditing or management information systems. Student organizations, volunteering programs and internships help Tippie students improve their skills and resumes to aim for a Big Four job or a successful public accounting career. About: The highly rated accounting program at the Spears School of Business aims to equip students with a broad knowledge base as well as with advanced expertise in accounting. Students can choose between a BSBA with an Accounting major, a Master of Science in Accounting and a PhD in Accounting. All courses are taught by instructors with extensive public accounting and research experience. Moreover, excellent professional opportunities allow students to gain experience during their studies and potentially secure a job offer upon graduation. About: The College of William & Mary values flexibility and personal choice through the “Individual Program of Study” initiative. Students may choose to major in accounting while also choosing to double major or to add a different concentration to their curriculum. Students aiming for CPA licensure may pursue the Master of Accounting program and one of its three elective tracks – Auditing, Taxation or Valuation. Non-accounting majors can fulfill the MAcc prerequisites through a Summer Boot Camp. About: Leadership and decision-making are at the core of the University of Connecticut’s innovative accounting curriculum. High CPA exam pass rates and graduate employment rates are proof of the program’s effectiveness, achieved by supplementing classroom learning with opportunities for experience. Students wishing to apply for a CPA license can pursue the online Master of Science in Accounting, a flexible program designed to complement the undergraduate accounting degree at the University of Connecticut. About: The non-profit Bentley University combines technology and accounting expertise to create an innovative accounting program at both the undergraduate and graduate level. In addition to the undergraduate degree and the Master of Science in Accountancy, Bentley students can also opt for a five-year program that allows them to qualify for CPA licensing within five years. Moreover, the dual degree option allows MBA students to simultaneously study for a Master of Science degree. About: The Kogod School of Business offers a rigorous Bachelor of Science in Accounting program, as well as a Master of Science in Accounting and a Master of Science in Taxation. While the former is designed to satisfy the 150-credit requirement for CPA licensure, the latter focuses on tax code and state taxation. Both provide in-depth expertise alongside opportunities for career development. Moreover, Master of Accounting students are able to choose from a wide range of specializations including non-profit and forensic accounting. About: Students pursuing a BSBA at the Olin Business School are able to choose a major in accounting during their sophomore year and they can also opt for a second major from a different school. Graduate students wishing to take the CPA track can pursue a Master of Accounting program unique for its flexibility: almost half of the required credits consist of elective courses. Other options at this highly rated school include a Global Master of Finance, MBA and PhD programs. About: The accounting program at Ball State University is deeply rooted in the local business community and provides an immersive learning experience, as well as rich internship and networking opportunities. Academic quality is ensured by the small class sizes and experienced faculty members. Ball State students can pursue a Bachelor’s Degree and a Master’s degree in accounting; while the former provides a solid foundation to an accounting career, the latter allows students to qualify for CPA certification and gain advanced accounting skills. About: Belmont University offers a well-regarded accounting program for undergraduate and postgraduate students. One third of Belmont graduates typically gain employment with the Big Four, while excellent internship opportunities and high quality teaching enhance the employability of accounting students. Students wishing to become CPAs can apply for the Master of Accountancy program, even if they hold non-accounting undergraduate degrees. A flexible schedule and a diverse and rigorous curriculum define the Master of Accountancy program at Belmont University, whose graduates consistently secure employment with major accounting firms. About: Students at Walton College can pursue a BSBA in Accounting, a Master of Accountancy and a PhD in Accounting. Additional options are available, such as the International BSIB program and the five-year integrated MAcc program that allows students to qualify for the CPA exam. The comprehensive accounting curriculum offered at Walton College is supplemented by internship experiences and extra-curricular activities. Career outlooks are bright for accounting graduates, who report high employment rates and good starting salaries. About: Highly rated by the Princeton Review, Businessweek and U.S. News for its business program, Bryant University offers excellent undergraduate training in accounting, as well as Master’s degrees in Professional Accountancy and Taxation. With experienced instructors and a comprehensive curriculum with a focus on experiential learning, Bryant University boasts employment rates of 98% and an excellent standing in employer surveys. This AACSB-accredited accounting program allows students to enhance their employability through internships, study abroad program and directed study projects. Our initial list was collected with the help of the commonly referred U.S. News and Businessweek rankings, as well as subject-specific indicators. Including the Public Accounting Report’s survey of accounting professors. Our list was then sorted by several metrics, listed below. As undergraduate and graduate programs are usually ranked separately, this list provides a ranking of accounting programs that stand out at both levels. * Do I need to attend one of these schools to be a good accountant? Absolutely not. Community college and a good attitude can take you a long way. * Do I need to attend one of the 50 top universities to get an accounting job? No. There are many paths to landing a great accounting job. However, many of the larger public firms focus their recruiting on these colleges.